NBC will offer pre-race coverage from 3 to 5 p.m on NBC Sports. The main coverage will go on NBC and run from from 5 to 7 p.m. In addition, post race coverage goes back to NBC Sports and lasts half an hour from 7 to 7:30 p.m. Bettors and other fans can also access the race by simulcast on their preferred ADW provider. For those attending in person, the parking gates open at 8 a.m. The admission gates open at 8:30 a.m. Although tickets are available at the track, Belmont Park encourages patrons to order online. The Belmont Stakes will not feature the 2016 Kentucky Derby (GI) winner Nyquist this year, who was withdrawn from consideration due to a fever. The son of Uncle Mo was scheduled to be flown back to California. 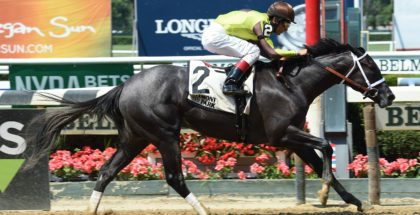 However, the Belmont will include Preakness Stakes (GI) champion Exaggerator and a list of familiar names including fan-favorite Lani, Brody’s Cause, Cherry Wine, Creator, Destin, Governor Malibu, Stradivari, Suddenbreakingnews, Trojan Nation. Trainer Dallas Stewart will enter Seeking the Soul and Forever d’Oro as well. 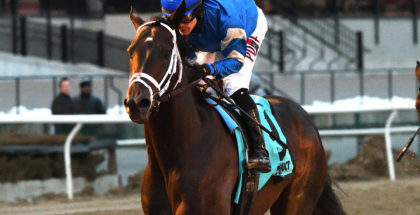 The Belmont Stakes undercard contains many other important stakes races, including the Metropolitan Handicap (GI), Manhattan (GI), Ogden Phipps (GI), Acorn (GI) and Just a Game Stakes (GI), plus the Woody Stephens (GII) and Brooklyn Invitational (GII). 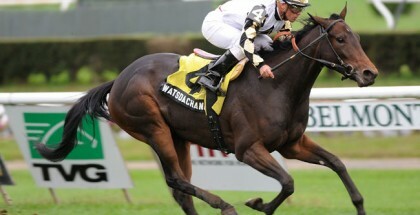 Kentucky Oaks (GI) champion Cathryn Sophia is a probable contender for the Acorn. Like always, the Belmont Stakes and the surrounding festivities will be special for everyone involved. Either start handicapping now or make plans to attend in person.